The Strongman Physical Culturists (learn more about the Physical Culture Movement here) emerged around the mid-1800’s (Watson et al. 2005); they blended the systematic approach of the European Gymnasts with traditional Viking and Highland events such as the shot-put and are credited with inventing the Barbell. The Strongman athletes were touring entertainers who performed shows that included acts-of-strength such as steel bending and chain breaking; another popular element of Strongman shows involved the athletes posing in ways that displayed their muscular physiques (Todd, 1995). Muscular Christians: emerging in England and the United States the Muscular Christians were Protestant men who chose to express their faith via health and ‘manliness’. In England the Muscular Christians believed the church had become ‘feminised’ and that to maintain the British Empire a strong church was required. Theodore Roosevelt was said to have helped introduce Muscular Christianity to the United States as a response to concerns about the fitness of their troops. The Muscular Christian movement’s legacy can be found today in the Young Men’s Christian Organisation (YMCA) (Lewis, 2013), (Watson et al. 2005). Eugen Sandow (1867-1925): Europe’s most famous Strongman Physical Culturist was born in East Prussia (Germany) and is considered the ‘Father of modern Bodybuilding’. Eugen believed Classical Greek sculpture represented the perfect physique and created weight training programs accordingly. During his Strongman act he posed as a living recreation of these sculptures whilst wearing a fig leaf and in 1901 Eugen organised (and judged) the first ever muscle posing competition. 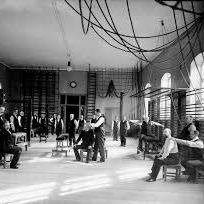 He also opened up an ‘Institute of Physical Culture’ in London that was frequented by men who were practising Muscular Christianity (Drane, 2015). 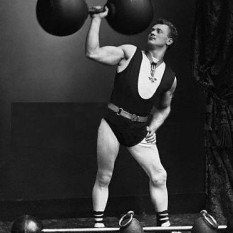 Bernarr MacFadden (1868-1955): was the United States most famous Strongman who brought a commercial approach to the Physical culture movement. 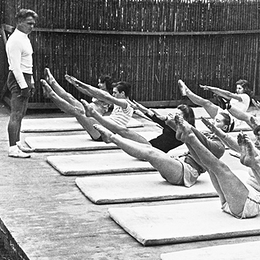 Bernarr began publishing a magazine in 1899 titled “Physical Culture” and opened up many ‘healthoriums’; both of these allowed him to share his health philosophy of weight training and eating a vegetarian diet. Through these channels he also preached an array of extreme health theories such as fasting which saw him clash with health authorities. 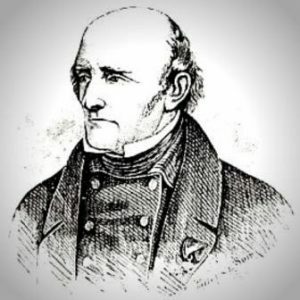 Bernarr is also credited with opening New York’s first vegetarian restaurant called ‘Physical Culture’ (Daugherty, 2015), (Endres, 2011). Endres, K.L. (2011). The Feminism of Bernarr MacFadden: Physical Culture Magazine and the Empowerment of Women. Media History Monographs 13(2), 1-14. Lewis, G. (2013). The Muscular Christianity Movement. Journal of Health, Physical Education, Recreation 37(5), 27-42. Todd, J. (1995). From Milo to Milo: A History of Barbells, Dumbbells, and Indian Clubs. Iron Game History 3(6), 4-16.